Friday, November 10, 6:30 p.m. through Saturday, November 18, 10:30 p.m., The Lab: Annea Lockwood will bring her surround-sound installation A Sound Map of the Danube to the Gallery space at The Lab. This was based on five field-recording trips that Lockwood made between the winter of 2001 and the summer of 2004. Her intent was to create an audio document of the 1785-mile extent of Europe’s second longest river, beginning at the sources in the Black Forest, progressing through Germany, Austria, Slovakia, Hungary, Croatia, Serbia, Bulgaria, and Romania, and concluding at the delta formed at the Black Sea. Captured audio included the sounds of the river itself (both at the surface and underwater), aquatic insects, and the various inhabitants along the banks. In addition to the physical projection of the captured audio, the installation incorporates a large wall map of the river itself, a book of interview texts, and a rock taken from the river. Friday, November 10: 6:30 p.m.
Saturday, November 11: 4:30 p.m.
Sunday, November 12: 12:30 p.m.
Wednesday, November 15: 4:30 p.m.
Thursday, November 16: 4:30 p.m.
Friday, November 17: 6:30 p.m. The second projection will begin shortly after the conclusion of the first. There will be no charge for admission, so visitors will be welcome to come and go freely. They are also invited to supplement the listening experience by bringing food, drinks, pets, pillows, and anything else within the bounds of common-sense reason. Lockwood will then conclude her visit to The Lab with a performance of Jitterbug, a full-evening concert in which photographs of rocks are used as graphic scores. She will be joined by percussionist William Winant and guitarist Fred Frith. They will play within the context of a pre-recorded surround-sound environment consisting primarily of insect sounds. This performance will begin at 9 p.m. on Saturday, November 18, and is expected to last about 90 minutes. Admission for Jitterbug will be $20, and members of The Lab will be admitted for $12. Advance registration is strongly advised. Separate Web pages have been created for members and the general public. Doors will open at 8:30 p.m., half an hour before the performance is scheduled to begin. Events at The Lab tend to attract a large turnout, so early arrival is almost always highly recommended. Friday, November 10, 8 p.m., Herbst Theatre: For those who wish a more conventional listening experience, the Philharmonia Baroque Orchestra will be presenting the next program in its 37th season. The title of the program will be Vivaldi in Venice; and long-time co-concertmaster Elizabeth Blumenstock will lead the ensemble. The program will begin with the seasonally-appropriate “Autumn” concerto from Antonio Vivaldi’s The Four Seasons; but the rest of the program will sample works by other composers known to Vivaldi and/or his fellow Venetians. Those composers will be Pietro Locatelli, Johann Georg Pisendel, Francesco Maria Veracini, George Frideric Handel, Tomaso Albinoni, Giuseppe Tartini, and André Campra. Herbst Theatre is located at 401 Van Ness Avenue on the southwest corner of McAllister Street. Ticket prices will range from $30.50 to $122.50 dollars for premium seating. Tickets are currently available for advance purchase through a City Box Office event page. Saturday, November 11, 7:30 p.m., St. Mark’s Lutheran Church: The next event in the 37th season of the Dynamite Guitars concert series presented by the Omni Foundation for the Performing Arts will be a solo recital by Russian classical guitar virtuoso Irina Kulikova. She will play her own arrangements of three of the movements from Johann Sebastian Bach’s BWV 1007 solo cello suite in G major and the second (in C-sharp minor) of Frédéric Chopin’s Opus 64 set of waltzes for solo piano. The Russian composers to be represented on her program will be Sergei Rudnev and Vassiliev Konstantin. Other composers on the program will be José María Gallardo Del Rey, Federico Moreno Torroba, and Agustín Barrios. St. Mark’s is located at 1111 O’Farrell Street, just west of the corner of Franklin Street. All tickets will be general admission. Orchestra level seats will be sold for $55 with $45 for seats in the balcony. Tickets may be purchased in advance online through a City Box Office event page. Those wishing further information may call 415-242-4500. There will be the usual Open Rehearsal held in the Kanbar Performing Arts Center at 44 Page Street, a short walk from the Muni Van Ness station. This will take place at 10 a.m. on Wednesday, November 8. All tickets are $15. Concert tickets range in price from $29 to $61. City Box Office has set up a single Web page to handle both the open rehearsal and tickets for all concerts remaining in the season. It is also still possible to create a three-concert subscription, purchasing tickets for three concerts in three different months. Finally, discounted tickets are available at $15 for patrons under the age of 35 and at $10 for students with valid identification. Last month readers may recall that I provided a heads-up regarding the Monday Make-Out at the Make Out Room prior to the usual announcement of such events in a Bleeding Edge column. Such astute readers may have noticed the absence of such a Bleeding Edge column today. This was due to the fact that everything in San Francisco listed by BayImproviser this morning had already been accounted for in previous articles. Furthermore, next week’s Monday Make-Out was not yet listed; so, once again, this series gets an article of its own. Not all the details have been provided, but next week’s gig will follow the usual three-set format. For those who follow Bleeding Edge activity closely, there will be a lot of familiar faces next Monday. The opening set will be taken by Instagon, an adventurous group that is now based in Sacramento, having moved there from Orange County in 2005. By its own description, the group takes free jazz improvisation as an approach to playing garage rock. Because the ensemble itself never uses the same combination of players twice, the scope of free improvisation has been very broad. As of the summer of 2016, the group had given over 715 shows with over 700 different players. Next Monday’s performance will be Session #740. Two of the members will be founder LOB on bass and Mark Pino on drums. The second set will be taken by a more stable organization, the ROVA saxophone quartet of Larry Ochs, Jon Raskin, Bruce Ackley, and Steve Adams. They will be followed by the free jazz improvisations of Rent Romus’ Life’s Blood Ensemble. They will preview tracks from their upcoming album Rogue Star. Saxophonist Romus leads the group, whose other members will be Timothy Orr (percussion), Safa Shokrai (bass), Max Judelson (bass), Heikki Koskinen (electronically enhanced trumpet and recorder), and Mark Clifford (vibraphone). Doors will open at 8 p.m. this coming Monday, November 6; and the music starts half an hour later. The Make Out Room is located at 3225 22nd Street in the Mission, near the southwest corner of Mission Street. The Make Out Room is a bar. That means that tickets are not sold, nor is there a cover charge. Nevertheless, a metaphorical hat is passed between sets; and all donations are accepted, not to mention welcome! It is worth noting that this is not the first time that Crumb’s music has been performed in a Chamber Music Series recital. The program for May 24, 2015 included his “Vox Balaenae” (the voice of whales), performed by the trio of Linda Lukas (flute), David Goldblatt (cello), and Gwendolyn Mok (piano). All three instruments were electronically enhanced and played on a darkened stage lit only by dim blue lights. In addition each of the players wore a black mask. As a result the performance was theatrical as well as musical. Yesterday afternoon Goldblatt returned with his cello, performing this time with Sarn Oliver (first violin), Yun Chu (second violin), and David Gaudry (viola). This time the instruments were not merely “electronically enhanced.” They were electric versions of the traditional instruments. Only the basic frame supporting the strings, bridge, and tuning pins was left intact. The rest was a minimal suggestion of the shape of the instrument, serving only to accommodate the physical instincts of the performer. All sounds were the results of pickups on the frame and the electronic logic processing the signals from those pickups. Each player also had a table of “additional gear,” consisting of objects to be used in the process of playing his respective part. The two violinists and the violist each had a sent of tuned crystal glasses, and the second violinist and cellist were required to play a suspended gong. A full account of all the materials required to play “Black Angels” is included on the composition’s Wikipedia page. Crumb gave the piece the subtitle “Thirteen Images from the Dark Land.” He also had his own way of writing the date on the title page: “Friday the Thirteenth, March 1970 (in tempore belli).” This is the most explicit gesture Crumb made in acknowledging the Vietnam War (“tempore belli”). Both Gaudry and Oliver introduced the performance with some explanatory remarks, including structures involving the interplay of the numbers 13 (for Hell) and 7 (for Heaven). Their remarks were further enhanced by James M. Keller’s notes for the program book. Like “Vox Balaenae,” the performance was as much theater as it was music. With the assistance of all the background material provided, the theatrical experience was intensely compelling, matched only by a sense of marvel at the rich variety of sonorities coming from the stage and the attentive skills of the performers in eliciting those sonorities. For those interested in history, “Black Angels” was the first piece performed by the Kronos Quartet; but, when they brought their performance to the University of California at Los Angeles, members of the audience had only a program sheet giving the title and the composer and no other background information. However, “Black Angels” is anything but “pure music;” and the rich body of context provided by both the program book and the performers did much to intensify the theatrical experience while also allowing the listener to appreciate the intricate structures behind the musical experience. Equally expressive was the account of Antonín Dvořák’s Opus 87 piano quartet in E-flat major. In this case the performers were violinist Dan Carlson, violist Matthew Young, cellist Amos Yang, and pianist Sayaka Tanikawa. As many know, Johannes Brahms had been a strong advocate for Dvořák going back all the way to 1875, when he was on a competition jury that awarded Dvořák the Vienna State Prize. The two only met in 1877, probably after Brahms had successfully recommended Dvořák to his own publisher, Simrock. By that time Brahms had completed all three of his piano quartets, so Dvořák’s decision to compose Opus 87 in 1889 may have had personal connotations. Without dwelling on wordplay, the music is definitely personable. It even picks up on Brahms’ preference for the cello during the slow movement. This is followed by a dumka movement, providing Dvořák with yet another opportunity to explore what was probably his favorite structural framework. Taken as a whole, the quartet is a thoroughly joyous composition; and yesterday afternoon’s performance did not short-change any of the exuberance that the composer had packed into the score’s rhetoric. Similar exuberance could be found in the remaining work on the program, the Opus 6 divertissement that Albert Roussel composed for wind quintet and piano. The pianist was Britton Day, performing with his father Tim Day (flute), Russ deLuna (oboe), Steve Sanchez (clarinet), Rob Weir (bassoon), and Robert Ward (horn). The piece consisted of a single movement in ternary form, embedding a slow section between spirited outer sections. Keller’s notes focused on the year in which Roussel wrote this piece, 1906. He noted that the music itself was closer in spirit to composers like Darius Milhaud and Francis Poulenc than it was to the work of Claude Debussy and Maurice Ravel. Both Milhaud and Poulenc were particularly comfortable in writing chamber music for winds, and Poulenc even wrote a sextet for exactly the same resources Roussel had required. Thus, the music is a bit of a “forward pass;” and yesterday’s performance seemed to be aware of those “future connections,” acknowledging them through the rhetorical verve brought to the execution. Chamber Music Series programs are often distinguished by the broad diversity explored by the performers, but that diversity was particularly notable yesterday afternoon and in ways that were thoroughly satisfying. November 2: The first set will be taken by the Song & Dance Trio, led by Filipino-American guitarist and composer Karl Evangelista. Evangelista’s influences are decidedly eclectic, including jazz, the twentieth-century experimentalists, and the full breadth of pop songs. The other members of the trio will be Cory Wright on reeds and Jordan Glenn on drums. The second set will be a solo by Lithuanian sound performance artist Arma Agharta. November 9: Plans for the opening set have not yet finalized [updated 11/6, 8:10 a.m.: The opening set will be taken by Kataryna Kopelevich playing organ enhanced with electronics, accompanied by Alex Baum on bass]; but the second set will be a visit from Los Angeles by Derek Gaines, a guitarist who works with live electronics as part of his improvisations. November 16: The opening set will be taken by a trio called The Senders. Members are Gino Robair, Astronauta Pinguim, and Benjamin Tinker; and they will be performing with a special guest artist. The second set will be a trio improvisation by Gretchen Jude, Kevin Corcoran, and Matt Davignon. Last night the One Found Sound (OFS) chamber orchestra presented the first program in its fifth anniversary season. For those who do not already know, this ensemble prizes itself on being highly collaborative, so collaborative that it has neither a conductor nor any other form of music director. The five founders of the ensemble were all students at the San Francisco Conservatory of Music, from which they acquired not only their solid grounding in technique but also a healthy sense of adventure in their approaches to repertoire. Over the past five years that sense as been delightfully evident in every concert program the group has prepared. It has also influenced many of the choices of performance venues, and last night provided a prime example. The concert took place in the headquarters of Monument, a group loosely organized around bringing together creative people from both the arts and the sciences. The headquarters building (located in SoMa) serves as a workspace, a gallery, an event space, a residence, and a place to meet and make friends. The title of last night’s program was Monster Masquerade, which was inspired by the date’s proximity to Halloween and provided an excuse for most of the performers (not to mention members of the audience) to sport outrageous costumes. At the same time there was also a sense that the instrumentation for the three selections on the program allowed for an exploration of the different “guises” that music can assume. This was most evident in the opening selection, which involved the largest ensemble of players. 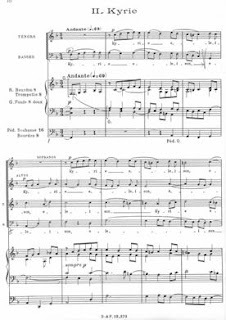 This was Anton Webern’s arrangement of the six-voice fugue from Johann Sebastian Bach’s BWV 1079, The Musical Offering. Webern was a student of Arnold Schoenberg, and the influence of his teacher took on not only his best-known efforts to “emancipate” dissonance but also an adventurous approach to instrumental coloration that may have originated from Schoenberg’s parallel interest in painting. Webern’s arrangement of Bach was particularly adventurous in his approaches to instrumentation and orchestration, breaking a melodic line into fragments (sometimes individual notes) and distributing those fragments across different instruments with radically different sonorities. The result is as fascinating as it is challenging, particularly for a group that plays without a conductor. All the performers must always be aware of the contrapuntal activity at the heart of the fugue, grasping the contributions of not only each of the six voices but also Bach’s keen sense of point-against-point superposition of those voices. Last night one came away with the impression that every OFS player had established her/his own personal grasp of the entire fugue. As a result, even when playing only a single note in isolation, (s)he always knew how that note fit into the “big picture.” Through this performance the attentive listener could attain not only new ways of thinking about Bach and the traditions of counterpoint but also a clearer perception of how Webern had applied his thoughts to his own compositions, works like his Opus 21 symphony. Similar diversity of “guises” could be found in the final work on the program, Igor Stravinsky’s “Danses concertantes.” This originated with no specific ballet in mind, although George Balanchine would create two different ballets based on the same score. Like “Scènes de Ballet,” which Stravinsky composed about two years after “Danses concertantes,” the piece can be called music about the idea of dance, rather than music for the dance. This is most evident in the Pas de deux movement, which almost seems to be using relationships between individual instruments to reflect how the dance form establishes a relationship between a pair of dancers. In many respects the Stravinsky selection was more challenging than the Webern arrangement, since, as a result of their music education, the players had a clear understanding of Webern’s point of departure. Stravinsky, on the other hand, had far more personal motives, which were also far more idiosyncratic. Nevertheless, that distinction did not daunt any of the performers; and the result was a thoroughly engaging journey, which was probably a journey of discovery for almost everyone in the audience. Between these two full-ensemble pieces the wind players performed Antonín Dvořák’s Opus 44 serenade in D minor. This was scored for two oboes, two clarinets, two bassoons, and three horns, to which subsequently the composer added a bass part. The thematic material of the piece’s four movements is consistently accessible, but the real treat comes with how the tunes are handled by different combinations of instruments with an overall rhetoric that serves up just the right mix of competition and cooperation. Even in the Andante con moto movement, there is something joyous about the overall mix; and the coda of the Finale, which brings together the opening theme of the first movement with the principal theme of the last, ties up the whole affair with an almost smug sense of satisfaction. The best that can be said of this five-year milestone is that it should lead all of us to look forward to what will happen over the next five years. The Community Music Center (CMC) has become a regular venue for Jazz in the Neighborhood events. However, next month’s installment will be preceded by another series of events held regularly in conjunction with San Francisco Performances (SFP). That will involve a current SFP Artist-in-Residence who is also a jazz player. The series is Concerts with Conversation. SFP contributes by bringing world-class artists to the CMC concert hall. Every visitor offers a free community concert, after which the performer is open for conversation with the audience. The Artist-in-Residence who will launch the series this season is jazz trumpeter Sean Jones, who is also one of the current members of the SFJAZZ Collective. Jones is no stranger to conversation. His first performance following his Artist-in-Residence appointment was a one-hour gig in the SFP Salon Series, which always concludes with a Q&A session with the audience. Jones’ Concert with Conversation event will begin at 6 p.m. on Friday, November 10. CMC is located in the Mission at 544 Capp Street, between Mission Street and South Van Ness Avenue and between 20th Street and 21st Street. To repeat, there will be no charge for admission. The following Friday will be the next Jazz in the Neighborhood event to be hosted by CMC. The featured artist will be vocalist Clairdee. Her instrumental rhythm will be provided by the Ken French Trio, led by French at the piano. The other trio members will be Gary Brown on bass and Jim Zimmerman on drums. Clairdee will also host a special guest artist, Daria Johnson, who is both vocalist and percussionist. This performance will also be held in the CMC Concert Hall, beginning at 8 p.m. on Friday, November 17. Tickets will be sold at the door at prices of $20 for adults and $10 for students and seniors. However, there will be a $2 discount on full-price tickets purchased in advance. CMC has created an event page for advance purchase, which will be operable until 3 a.m. on the day of the concert. Yesterday afternoon conductor Osmo Vänskä once again returned to the podium of the San Francisco Symphony (SFS) in Davies Symphony Hall for a visit that, sadly, only involves three performances. His soloist was Latvian violinist Baiba Skride, making her SFS debut. The concerto selection was Jean Sibelius’ Opus 47 violin concerto in D minor, a composition that Vänskä knows so well that he has recorded the original version of this concerto, which was completed by the beginning of 1904, as well as the revised version, which was first performed on October 18, 1905 and is the published version that is almost always presented in concerts. However familiar Vänskä may be with this music, there was a stimulating freshness in the immediacy of his interplay with his soloist. Sibelius wrote out many long extended passages for the violin, many of which are, for all intents and purposes, cadenzas, even when the ensemble inserts punctuation marks. Vänskä’s attention to detail reached all the way down to those punctuation marks, each of which affirmed the narrative character of the concerto itself by asserting its own unique expressive stance. When the ensemble does more than punctuate cadenzas, it is exploring thematic material that frequently contrasts what the violin has been saying, endowing each movement of the concerto with passions that run high and low, almost as if they were on a roller coaster. For her part Skride had clearly internalized every expressive nuance that Sibelius expected from the violin soloist. Her give-and-take with the ensemble was particularly effective in the final movement (Allegro, ma non tanto), which almost emerged as a depiction of an ancient bard and those listening to the tale with rapt attention. This was very much a concerto in which dramatic qualities counted for as much as virtuoso skill. Because there was never any doubt that Skride and Vänskä shared the same commitment to those dramatic qualities, the result was a thoroughly memorable account of a concerto that now gets frequent exposure in the concert halls. As an “overture” to this concerto, Vänskä selected what is probably Sibelius’ best known composition, his Opus 26 “Finlandia.” (This was also a case in which Vänskä had recorded the composer’s early effort, a tone poem entitled “Finland Awakes.”) Here, too, he knew how to make every moment signify. Through Vänskä’s leadership, the attentive listener could appreciate just how meticulous Sibelius was in making decisions as to which instruments would play when and with what qualities. The result was a reading in which the steady flow of contrasts carried as much significance as the familiar themes and motifs. 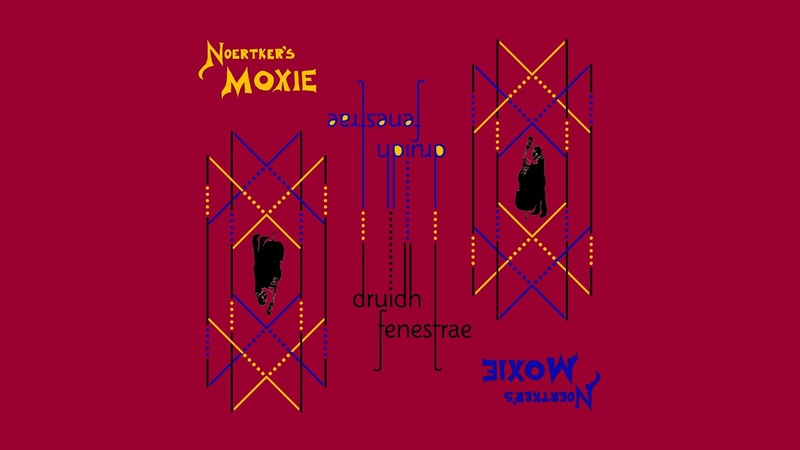 By the time the full ensemble was roaring out the concluding measures, the experience of listening to this warhorse emerged as an stimulating journey that was as fresh as it was unique. The second half of the program was devoted to Dmitri Shostakovich’s Opus 10 (first) symphony in F minor. This was written when Shostakovich was still in Maximilian Steinberg’s composition course at the Saint Petersburg (then Leningrad) Conservatory. It was completed in December of 1925 as a graduation exercise. The result is a four-movement display of an emerging composer with a rich sense of humor with absolutely no fear in parading his prankishness. The comic gestures in the first two movements are fired off with such rapidity that even the most attentive listener can barely keep up with them. Even after things “get serious” in the third (“Lento”) movement, it is clear that Shostakovich is far from done with identifying targets for nose-thumbing. Finally, when he establishes an ambiguous boundary between the final two movements, it is clear that, when necessary, he can even add a layer of sophistication to his leg-pulling. Vänskä’s reading of this symphony was straightforward and precise. He did not have to point out any of the jokes, because each one spoke for itself perfectly well on its own. Nevertheless, he also knew how to push the limits of rapidity during the second (Allegro) movement; and Robin Sutherland’s work at the piano keyboard almost gave the impression that he was channeling Charlie Chaplin. The result was a reading of this composition that made it sound less like a student exercise and more like an “opening statement” of the Shostakovich canon with a clear agenda of where the composer sought to take his creative imagination, apparently free of any fear of how Soviet authorities would react to what they thought was too much creativity or imagination. Last month IDIS, the house label of the Istituto Discographico Italiano (Italian discography institute), released a new CD entitled Boulez conducts Stravinsky. Those who know about Pierre Boulez know that there is no shortage of recordings of him conducting the music of Igor Stravinsky. 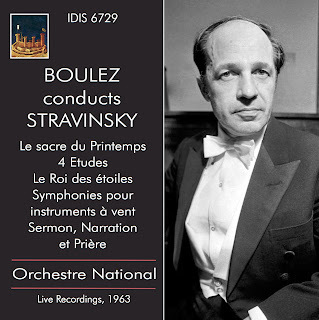 Indeed, Boulez’ interest in Stravinsky predates the cultivation of his reputation as a conductor, dating back to the concerts he organized for the Domaine Musical during the Fifties. Nevertheless, this recent release has major historical significance. It is a recording of a concert performance that Boulez gave with the Orchestre National de France of the score for the ballet in two parts, The Rite of Spring. Boulez presented this program on June 18, 1963 to commemorate the 50th anniversary of the score’s premiere performance, which had resulted in a riot. To emphasize the significance of that anniversary, Boulez present the work in the same venue that had seen the premiere, the Théâtre des Champs-Élysées in Paris. As might be guessed, the audience reaction was again extreme; but this time the extreme was on the positive side, doing much to firm up Boulez’ reputation as a rising conductor of note. Furthermore, Boulez decided that his entire program should be devoted to Stravinsky’s music. Thus, in addition to honoring the legacy of The Rite, Boulez scheduled four more orchestral works, all of which were not receiving very much attention in 1963 (not that they are receiving much more attention these days). One of these was a piece he had conducted during his Domain Musical days, the “Symphonies of Wind Instruments” (presumably in the 1947 version he had prepared for Domain Musical). Another connection to those days could be found in his selection of the four orchestral études that Stravinsky had published in 1928. These were arrangements of his three pieces for string quartet (whose Domain Musical performance Boulez had organized) followed by the “Étude pour pianola,” which became the last orchestral étude entitled “Madrid” and was subsequently published in a version for two pianos prepared by Stravinsky’s son Soulima. The remaining two works on the program may well have been “first contact” experiences for Boulez. “Le roi des étoiles” (the king of the stars) is a very early piece (1912) setting a text by the Russian poet Konstantin Balmont. The vocalists were part of the resident chorus for Radiodiffusion-Télévision Français, prepared by chorus master Rene Alix. San Francisco readers may know that Michael Tilson Thomas has been a champion of this piece since the days of his tenure as Assistant Conductor of the Boston Symphony Orchestra during the first half of the Seventies. 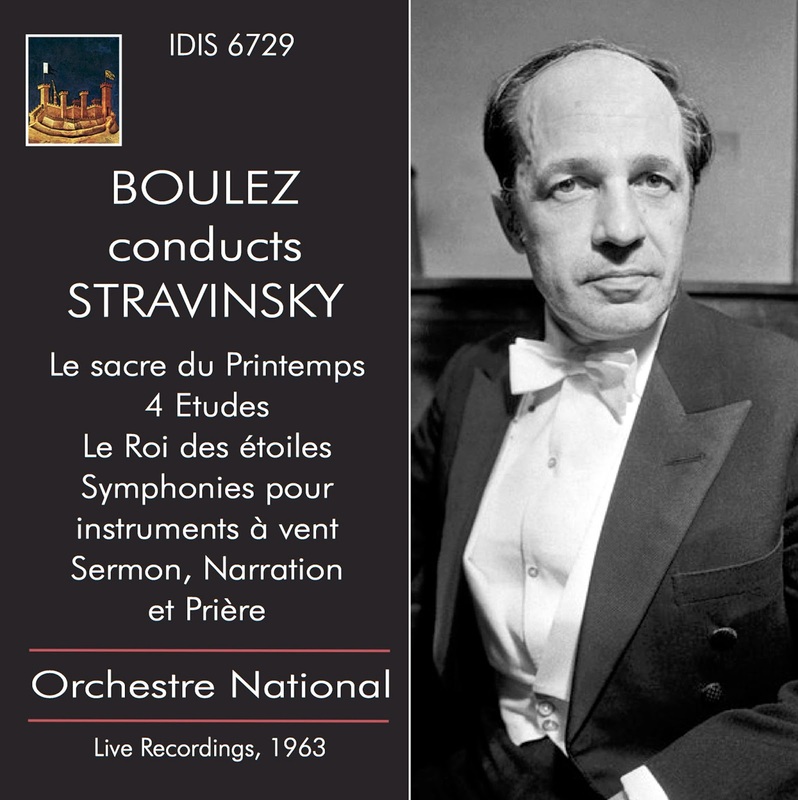 The final selection on the album is Stravinsky’s three-movement cantata, A Sermon, a Narrative and a Prayer, the one composition that Boulez included on the program that presented Stravinsky’s use of serial techniques. Taken as a whole, this is a prime example of wish-I-had-been-there programming. In the absence of a time machine, this new IDIS release is the most viable alternative. Attentive listeners are likely to come away feeling more informed about both Stravinsky and Boulez! Having already written about the selections of music to be performed at the Church of the Advent of Christ the King by resident choir Schola Adventus on both All Saints’ Day and All Souls’ Day, I wanted to inform readers of the singing of a twentieth-century setting of the Requiem text at another church. The music will be Maurice Duruflé’s Opus 9, which was completed and published in 1948. The work was written for four-part choir with brief solos for mezzo and baritone. The choral resources will involve the St. Mary’s Parish Choir performing with the Lacuna Arts Choral. The conductor will be Eric Choate, the church’s Director of Music. The service will begin at 7 p.m. on Thursday, November 2. The church is located at 2325 Union Street, between Steiner Street and Pierce Street. Last night in Herbst Theatre the San Francisco Girls Chorus (SFGC) began its 2017–2018 season with a program entitled Philip Glass and the Class of ’37. This is the first of two of the programs in the season that have been designed to celebrate the 80th birthday of Philip Glass, which took place this past January 31. The “class of ’37” refers to three other composers, each born in the 37th year of a different century: Dietrich Buxtehude (1637), Michael Haydn (1737), and Mily Balakirev (1837). Short selections from each of them opened the program, after which all of the works were by Glass with SFGC Artistic Director Lisa Bielawa contributing to arrangements of two of them. It is important to note at the beginning that all of the Glass selections were written for theater pieces. Glass’ career has been rich with experiences that required him to be a “team player;” and some of the products of those experiences maintain a rich connection to Glass’ own name. Excerpts from two of them were included in last night’s program, the monument-scale four-act opera Einstein on the Beach, created with artist and stage director Robert Wilson, and the soundtrack for Geoffrey Reggio’s film Koyaanisqatsi. However, the most compelling performance last night came from the third and final act of a mixed media chamber opera first performed in 1982, The Photographer. The photographer referred to by the title is Eadweard Muybridge, best known for his pioneering motion studies. To the extent that the opera had a narrative, the plot was based on Muybridge having been tried from the murder of a man he suspected to be his wife’s lover. In the original production, the final act involved bringing together all of the characters from the first act (the basis for the trial) for an extended dance. The music for that dance is moderately long; and it is repeated three times, each time at a faster tempo. When The Photographer was first performed at the Brooklyn Academy of Music, attention to the narrative was almost entirely absent. The dance in the third act, choreographed by David Gordon, was, instead, inspired by Muybridge’s motion studies. The realization of that concept did not quite work, and the overall duration of that act proved to be rather a strain on even the most attentive members of the audience. The music for the dance was scored for chamber ensemble and chorus vocalizing without any words. Last night SFGC and local instrumentalists were joined by two members of the Philip Glass Ensemble, Michael Riesman on electric keyboard and Andrew Sterman, playing flute for the Photographer excerpt. Some sense of the strain of the overall duration remained, even 35 years after the piece was first performed. Perhaps because it was the final work on the program, my vantage point provided me with a generous view of people getting up to leave while the music was still being performed. Nevertheless, Music Director Valérie Sainte-Agathe clearly appreciated the three stages of tempo in the score. They could not have been more clearly distinguished, as was the rising tension in the final iteration. Considering the minimality of content and the scrupulous need for precision, the SFGC singers could not have been better. This was a performance that was not afraid to remind us of how notorious Glass was when pieces like this were first presented; and those three and one-half decades have not blunted the sharp edginess of the composer’s rhetorical stance. Indeed, the fact that this was a performance that could still provoke may be the best testament to its staying power. On the other than the two excerpts from Einstein on the Beach were sufficiently short that they were hardly provocative at all. Indeed, listening to “Building” (the first scene of the fourth and final act) without the eyes being flooded by Wilson’s vast images and his dancers’ glacial pace, one could pay more attention to the lyrical wailing of Sterman’s saxophone work (which never rises above the background with much strength in the recording of this opera). The same could be said for the violin solo performed in “Knee Play 5.” (The violinist was supposed to be the embodiment of Albert Einstein. Last night the solo was taken by Owen Bhasin Dalby.) On the other hand the narration that takes place while this music is performed (“Lovers on a Park Bench”) was omitted last night, thus depriving listeners of appreciating just how affectionate the concluding moments of this opera could be. The excerpt (“Vessels”) from Koyaanisqatsi was situated in the program between Einstein and The Photographer. While this reading was as attentive as the other Glass selections had been, there is a good chance that those familiar with the film missed the images. Glass did not write his score for this film to be “art music;” and this was a case in which the part could not stand on its own without the whole being present. A similar problem with lack of context arose with “Father Death Blues,” originally written for six solo voices at the conclusion of Hydrogen Jukebox a chamber opera in two parts with a libretto created from poems by Allen Ginsberg. “Father Death Blues” is the song that brings together all six of these characters; and the choral arrangement (prepared jointly by Glass and Bielawa) did nothing to establish connections between words and personalities. Instead the music amounted to an abstract depiction of the process of adding voices to a mix and then removing them. Any semantic link to the text was purely coincidental. Nevertheless, in a context rich with Glass’ imaginative rhetoric, the members of “the class of ’37” seemed awkwardly out of place. The readings of all three of the composers emerged as almost entirely featureless and little more than routine. This was more than regrettable, since the selections themselves reflected wide differences in personal outlook across these three composers. The overall result was a program that could have done with far more attentiveness to part-whole relationships. 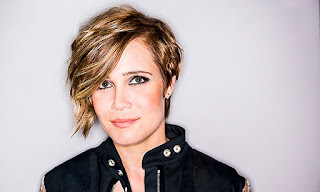 At the beginning of next month, violinist Leila Josefowicz (shown above) will be the first of the outstanding performers to participate in the Virtuosi Series of four recitals organized by San Francisco Performances (SFP). She will be accompanied by pianist John Novacek, and this will be the fourth time that the two of them have performed for SFP, having made their debut together in 1996. Throughout her career Josefowicz has been a passionate advocate of contemporary music. This was experienced most recently in San Francisco this past February, when she performed “Scheherazade.2,” which John Adams composed for her in 2014 on a joint commission by the New York Philharmonic, the Concertgebouw Orchestra of Amsterdam, and the Sydney Symphony Orchestra. Here in San Francisco she performed with the San Francisco Symphony under the baton of Music Director Michael Tilson Thomas. For next month’s recital Josefowicz has prepared a much earlier Adams composition, his 1995 “Road Movies,” scored for violin and piano. Adams will be the only American on the program, which will include two sonatas for violin and piano, the earlier by Sergei Prokofiev (Opus 80 in F minor), completed in 1946, and the later composed by Bernd Alois Zimmermann in 1950. Josefowicz will begin her program with “Valse triste,” the first of two pieces that Jean Sibelius originally composed as incidental music for the play Kuolema (death) and published as his Opus 44. 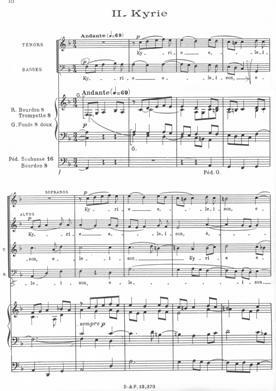 Sibelius wrote this for full orchestra, but the piece was arranged for violin and piano by Friedrich Hermann. This recital will begin at 7:30 p.m. on Tuesday, November 7, in Herbst Theatre. The entrance to Herbst is the main entrance to the Veterans Building at 401 Van Ness Avenue, located on the southwest corner of McAllister Street. The venue is excellent for public transportation, since that corner has Muni bus stops for both north-south and east-west travel. Tickets prices are $65 for premium seating in the Orchestra and the front and center of the Dress Circle, $55 for the Side Boxes, the center rear of the Dress Circle, and the remainder of the Orchestra, and $40 for the remainder of the Dress Circle and the Balcony. Tickets may be purchased in advance online through a City Box Office event page. Because this is the first concert in the Virtuosi Series, subscriptions are still on sale. The respective prices for the four performances in a full subscription are $240, $200, and $140. Subscriptions may be purchased online in advance through a City Box Office event page. Orders may also be placed by calling the SFP subscriber hotline at 415-677-0325, which is open for receiving calls between 9:30 a.m. and 5:30 p.m., Monday through Friday. For all other matters SFP may be contacted by calling 415-392-2545. About a week and a half ago, Warner Classics released a new album featuring the Orchestra dell'Accademia Nazionale di Santa Cecilia led by its current Music Director, Antonio Pappano. 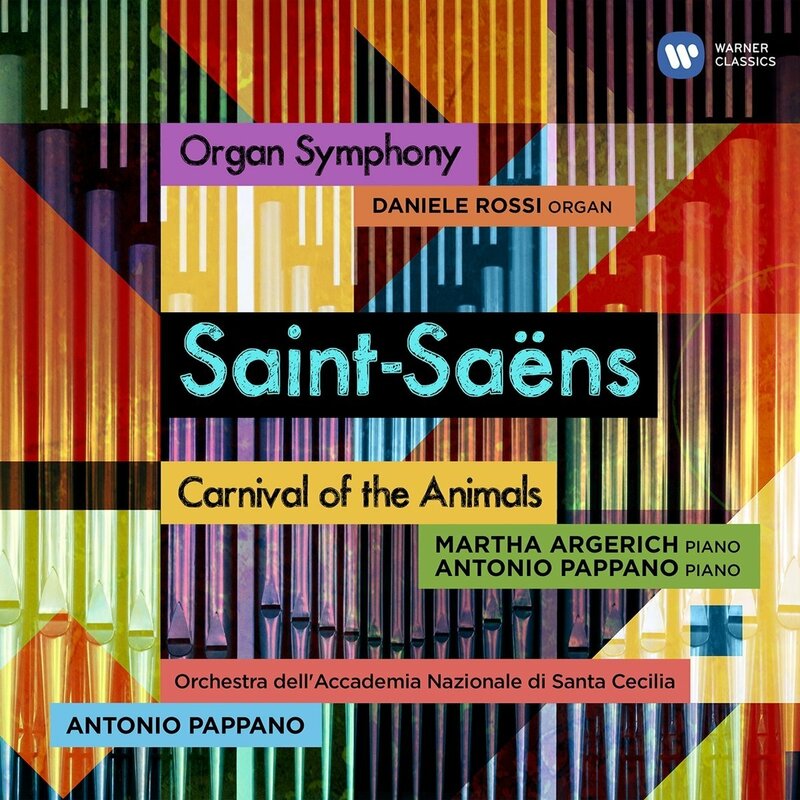 The CD offers two familiar compositions by Camille Saint-Saëns, a live recording of his Opus 78 (“Organ”) symphony in C minor and a studio recording of his fourteen-movement suite, “The Carnival of the Animals.” Of these two, the latter has more going for it. Note the lack on an opus number. “The Carnival of the Animals” was written for a private performance; and the instrumentation is minimal. Performance requires two pianos (played by Pappano and Martha Argerich), two violins (Carlo Maria Parazzoli and Alberto Mina), viola (Raffaele Mallozzi), cello (Gabriele Geminiani), bass (Libero Lanzilotta), flute doubling on piccolo (Carlo Tamponi), clarinets in B-flat and C (Stefano Novelli), glass harmonica, and xylophone. (The booklet lists percussionists Marco Bugarini and Edoardo Albino Giachino without says who plays what, and the photographs in the booklet suggest that the glass harmonica was replaced by a synthesizer.) Except for Argerich, all performers are members of the Accademia Nazionale di Santa Cecilia. Saint-Saëns intended this to be humorous entertainment to be enjoyed among friends. He expected those friends to be knowledgeable about repertoire, which is clear when he has elephants dancing to the “Dance of the Sylphs” from Hector Berlioz’ The Damnation of Faust. He also has the tortoises dance Jacques Offenbach’s famous can-can music at a glacial pace. (Both of those examples tend to be cited in just about any account to this score. On the other hand not even the Wikipedia page for this piece makes note of the presence of Jean-Philippe Rameau among the hens.) However, tucked in among all of these familiar animals is a movement entitled “Pianistes,” which depicts a pair of young piano students going about their exercises. All too often, this is played “straight;” but both Argerich and Pappano had the confidence to give this music the sort of error-laden treatment that Saint-Saëns most likely envisioned. Similarly, one often encounters performances that involve an entire orchestra. This would probably be more effective when the performance is given in a large concert hall, but the chamber resources are far more effective. When one is closer to the performers themselves, those performers are more likely to wink-and-nod their way through the composer’s many jokes; and the chemistry between those making the music and those listening to it is all the stronger for that intimacy. However, when technology imposes the detachment, the humor is up against greater obstacles. At best this new recording will help the listener become more familiar with the score and thus be more receptive to the full extent of the composer’s humor when given the opportunity of a chamber music performance. Physical presence is also a major factor where Opus 78 is concerned. The fact is that this is music that really does not deserve to be recorded, particularly for listeners who now experience music only through their ear buds. Indeed, when the organ is encountered in the Poco adagio section that concludes the first of the symphony’s two movements, its appearance is not so much thematic as one of a viscerally physical presence of pedal tones. (Those who follow articles about opera on this site may recall that Giacomo Puccini achieved the same effect with equal success in his use of the organ at the end of the second act of his Turandot opera.) I have been fortunate enough to have listened to this symphony in two major concert halls, one on either side of the country; and I therefore feel qualified to say that, once you have experienced your body vibrating sympathetically with the lowest tones in Saint-Saëns’ score, you will never be satisfied with any currently available recording. 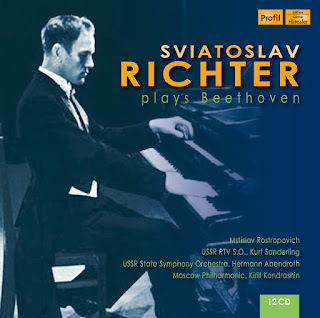 Earlier this month this site reported on the ten-CD album entitled Sviatoslav Richter Plays Schubert – Live in Moscow, released on the Profil label from Edition Günter Hänssler this past July. 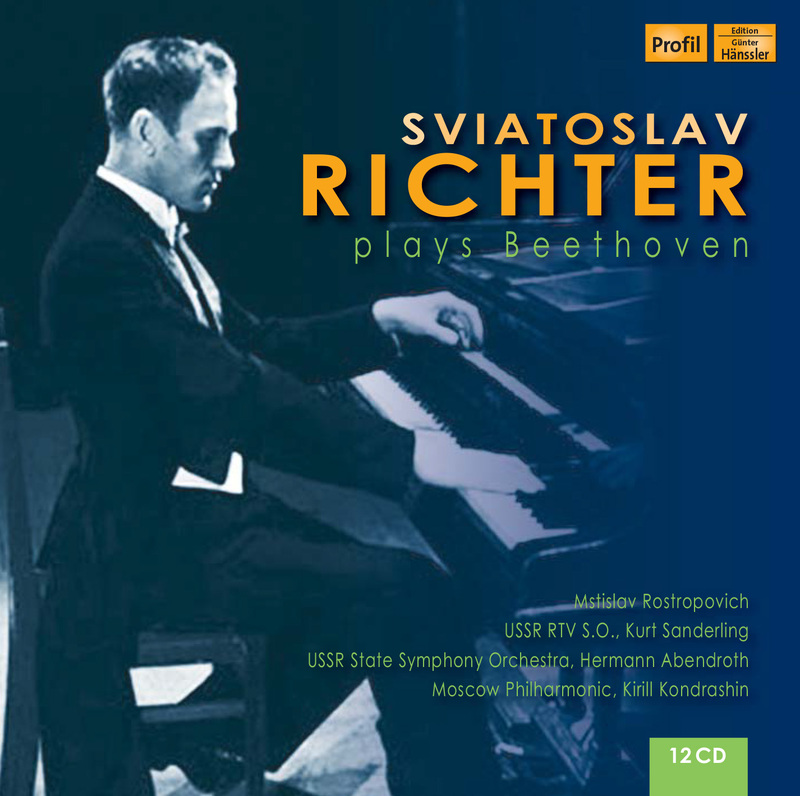 At the beginning of September, Profil followed up with the release of Sviatoslav Richter Plays Beethoven, a twelve-CD collection consisting primarily of piano sonatas. This is not a complete account of all 32 sonatas, but it definitely touches on the most familiar ones. There are also four sets of variations, including the monumental Opus 120 collection of 33 variations on the theme provided by Anton Diabelli. Shorter pieces include rondos and bagatelles with no intentions of thoroughness. Indeed, the closest Richter gets to being complete is in the final two CDs, which cover the five cello sonatas, which he performs with Mstislav Rostropovich. There are also two concertos and the WoO 6 orchestral rondo. Each of these three selections is performed with a different ensemble and conductor. The Opus 15 concerto in C major is played with the USSR TV and Radio Large Symphony Orchestra led by Kurt Sanderling. Hermann Abendroth conducts the USSR State Symphony Orchestra in the Opus 37 concerto in C minor. Finally, Kirill Kondrashin leads the Moscow Philharmonic Orchestra in the brief performance of the WoO 6 rondo in B-flat major. As was the case with the Schubert recordings, all performances are made with a contemporary piano. The allows Richter to explore very wide swings in dynamic level; and, on the basis of all of the listening I have achieved, I would suggest that his Beethoven swings are noticeably broader than those he applied to his Schubert interpretations. Whether this amounted to Richter’s impression that Beethoven was writing for the “mass appeal” of concert halls, while Schubert was more directed toward the intimacy of the salon, is left for those better informed of the history to resolve. Whatever the case may be, Richter is never shy about being emphatically assertive in his approach to Beethoven. This definitely gets a rise out of audiences. However, the many gestures of wit that can be found across much of Beethoven’s repertoire, tend to get cast into the shadows, if one is aware of them at all. To be fair, however, all of these recordings were made between 1947 and 1963, a time when audiences expected Beethoven to be “heroic” rather than witty. Richter knew how to give his audiences what they wanted, and he provided it with a consistently solid technique through which clarity is the highest priority. As was the case with the Schubert collection, there are couplings of live and studio recordings for six of the sonatas. The live recordings were made in Russia. As was the case with Schubert, there are also studio recordings from Paris, as well as one each from London and New York. My guess is that comparisons will only appeal to those whose interest in Richter goes to extreme levels. For the rest of us, this collection makes for an excellent time machine. We may not embrace all of the aesthetic values that dominated the twentieth century, but Richter’s performances could not provide a better opportunity to identify those values and take them on their own terms. October 25, Peacock Lounge: The Peacock Lounge continues to host groups that are definitely out there on the bleeding edge, in name as well as in practice. The four sets for the opening concert will be taken by Wolf Eyes, SBSM, Neha Spellfish, and Beast Nest. Doors will open at 7:45 p.m. to enable the first set to begin at 8 p.m. sharp. Tickets purchased in advance are available through a Brown Paper Tickets event page and are only $12. The Peacock Lounge is located in the Lower Haight at 552 Haight Street. October 27, Seismic Retrofitters: This will be a longer evening with greater variety. The first hour will be devoted to Guerilla Comedy, featuring performances by A Wolf Home Companion, Annick Adelle, Richard Savate, and Florentina Tanase. The music will then start at 9 p.m. and last for about three hours. In addition to Wolf Eyes, the performing groups will be Las Sucias, the William Winant Quartet (featuring Josh Allen, Joshua Marshall, and Aaron Levin), and Oracle Plus. Discounted tickets for this concert will be available from a separate Brown Paper Tickets event page. Seismic Retrofitters is located near Alamo Square at 650 Divisadero Street at the southeast corner of Grove Street. October 29, Elbo Room: This is the concluding early show, which will be a program of music and magic. Wolf Eyes will be joined by Cruor Incendia, Angst Hase Pfeffer Nase, and Matt & Paul Magic. Doors will open at 5 p.m. for a prompt beginning at 5:15 p.m. Tickets will be sold only at the door on a first-come-first-served basis. The Elbo Room is located in the Mission at 647 Valencia Street.